Getting older myself, and having been around the sport of snowmobiling for a long time, I find myself looking back and treasuring the time I have been able to spend with the older members of the snowmobiling community whom we have lost. 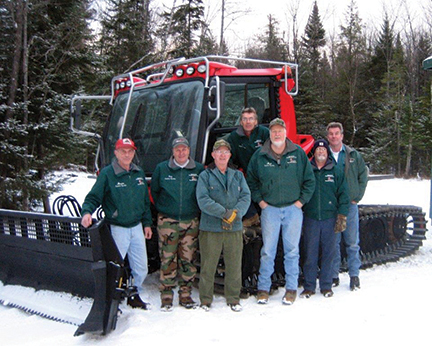 Last fall, the Brighton Snowmobile Club lost its most senior groomer operator and club volunteer, Marvin Menzel. Over the years, Marvin worked on trails and painted our groomer facility on the Henshaw Road, but was best known for all the hours he spent operating our groomers. Marvin began grooming early on, when the Brighton Snowmobile Club first purchased its own groomer, along with other volunteers such as Larry Walker. At the time of Marvin’s death, his service to the club had spanned 30 years or more. 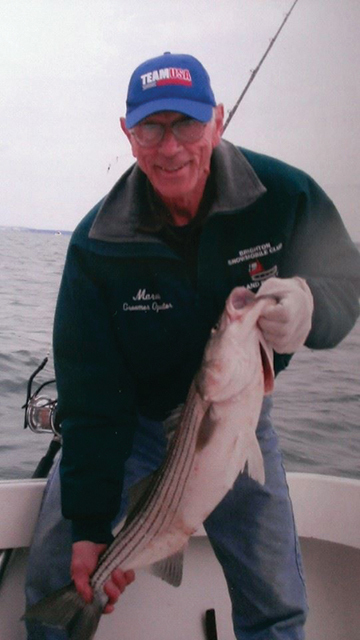 In 2013, VAST honored Marvin for all his years of service and his hard work and dedication as a groomer operator. Up until two years ago, Marvin groomed multiple times per week, many runs taking as long as 10 hours or more and were mostly late at night. In fact, Marvin was grooming when the Brighton Snowmobile Club was responsible for grooming all the way to East Burke. This was a grooming marathon that, in those days, took up to 18 hours with little or no communication on board and equipment that was not of the sophistication that we have today. Marvin was a very positive person. No matter when you talked with him, he was always happy and made you feel he was happy to see you even during times when his health was failing. He was always willing to help out other operators by swapping or filling in when there were scheduling conflicts. During some weeks, this caused him to have to groom multiple days in a row. This is a tall task that most groomer operators can attest to. Throughout Marvin’s grooming career, there was no grooming run that he did more often than the run down Corridor 114 south to Newark and West Burke and Corridor 58 out to Charleston. The Newark trail is very challenging due to its narrow, twisty nature. For many years he made this run twice per week. 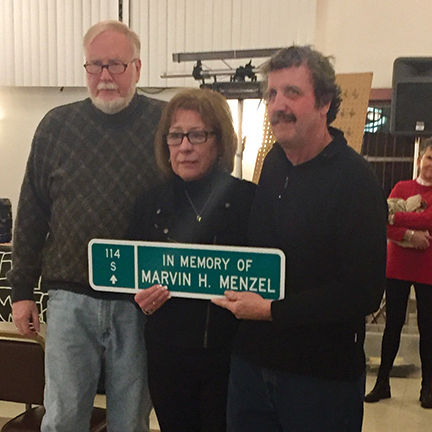 Because of Marvin’s long-term dedication to the Brighton Snowmobile Club and the sport of snowmobiling, the Brighton Snowmobile Club is pleased to announce that Corridor 114 South has been dedicated to the memory of Marvin Menzel.